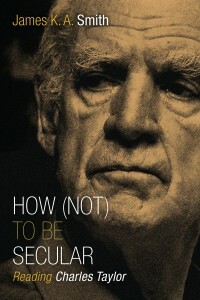 A book sure to make my list of “favorite reads” this year is Charles Taylor’s A Secular Age - a work of philosophy and history that opens a window on the meaning of secularity and its significance for how we live. I don’t know how I would have had the stamina to persevere through Taylor’s volume if not for a companion book: How (Not) To Be Secular by James K. A. Smith. The companion volume does more than summarize Taylor’s work; Smith adds to it, dissents from it, and explores its relevance for the church today. Today, I’ve invited James K. A. Smith here to discuss his book, How (Not) To Be Secular, and the significance of Taylor’s A Secular Age for understanding our cultural moment and how the church can thrive in this environment. Smith is Professor of Philosophy at Calvin College. I’ve interviewed him twice before, about his books Imagining the Kingdom and Desiring the Kingdom. Trevin Wax: Something that might surprise readers who pick up a philosophical work like A Secular Age is the amount of space Taylor devotes to historical survey. You encourage readers to treat the book almost like a novel, or at the very least, a story to be absorbed. What is the significance of Taylor’s narrative method and how does it relate to his overall argument? What’s our family tree look like, so to speak? What shifts took place in the realm of ideas? What changed at the level of communal practice, material life, and political organization? If you think “everything changed” in the 1960’s, your purview is too shortsighted. We are the heirs of societal shifts that are 500 years old. It might look like you’re witnessing a revolution, but it turns out it’s been percolating for centuries. Or think of it this way: we might be witnessing flash fires that catch us off guard, but Taylor wants to show us that the fire only flared up because there’s been a social and intellectual lava flow creeping across culture for centuries. Second, Taylor is trying to give us a narrative because he appreciates that we are “storied” creatures. I don’t think he quite pulls this off, because he let the project grow to such a gargantuan, overwhelming length. But when you distill it down, as I try to do in How (Not) To Be Secular, you can see that Taylor is trying to tell a story because he believes that we really make sense of the world at an “imaginative” level. Trevin Wax: Taylor describes the path from a pre-modern era where unbelief was almost unthinkable to the place we are today, a world that has been “disenchanted” and can now be reordered according to reason. Readers may be surprised to see Taylor attribute at least part of this shift to the religious Reform initiated by Protestants (also impacting Catholics) in the sixteenth and seventeenth centuries. What aspects of this development do you believe were positive? What aspects were negative? James K. A. Smith: We should emphasize that, in many ways, Taylor affirms this shift. By refusing a kind of two-tiered view of the Christian life, these late medieval Reform movements emphasized what he calls “the sanctification of ordinary life”: that those engaged in the nitty-gritty of domestic life—having families and raising children and making horseshoes and tilling the earth—live their lives just as much coram Deo (“before the face of God”) as those who renounced domestic, “earthly” life (monks, priests, nuns). There is no all-star team in the Christian life; we are all called to holiness and we can pursue holiness in any and all of our earthly vocations. In a sense, then, the Reformation recovered a more affirmative theology of creation, creaturehood, and so-called “earthly” work. However, one of the other results of the Reformation was a kind of disenchantment of Christian worship, not so much in Luther and Calvin, or at least not to the extent that later Reformers like Zwingli or the Puritans. This disenchantment involved a rejection of sacramentality—the conviction that the Spirit meets us in matter, that material stuff is a channel of grace. As a result, Christianity becomes a kind of intellectualized set of ideas rather than a liturgical way of life. Taylor calls this a process of excarnation, and in many ways I think it is a lamentable byproduct of the Reformation—and not one that necessarily has to follow from other convictions of the Reformers. Indeed, I would say some of us (like Todd Billings, John Witvliet, Hans Boersma, me, and others) are trying to recover a ”Reformed catholicity” that tries to undo this part of the story. Trevin Wax: You agree with Taylor that many versions of Christian apologetics not only respond to the Deism or Humanism they confront, but also reflect some Deistic or Humanistic assumptions. Can you explain the critique here, and offer some apologetic methods you believe are more effective in our secular age? To put it another way: too often Christian apologists try to convince people’s intellects and fail to realize that many people don’t believe otherwise because of reasons or evidence but precisely because stories have captured their imaginations and they are living out an alternative narrative. So, a more effective apologetic would not fight skirmishes on the level of the rationalistic debates but would target our “social imaginaries” (as Taylor calls them)—the submerged, tacit, inchoate ways that we imagine the world before we ever think about it. This is why Cardinal Ratzinger, just before he became pope, said that the church’s most effective witnesses were her saints and her art. Both speak to the imagination. In a secular age, Josh McDowell and William Lane Craig are not really going to pierce the imaginaries in which many people are ensconced. We would do better to give friends a copy of Francis Spufford’s Unapologetic, or the short stories of Flannery O’Connor, or get them to watch the HBO documentary, God Is the Bigger Elvis. Trevin Wax: Taylor writes about the “malaise of immanence” – feeling the “cross-pressures” of being pushed toward immanence and transcendence simultaneously in our pursuit of meaning and significance. What are some popular films or books that would help us better understand these cross-pressures? James K. A. Smith: Ah, that’s an interesting question. Obviously I can only suggest some of my own favorites that will no doubt reflect some of my own preferences and tastes. For my money, David Foster Wallace is a fascinating writer in this respect. Folks might start with his posthumous short story, “All That.” Christopher Beha’s novel, What Happened to Sophie Wilder, could almost be read as a companion volume to Taylor’s A Secular Age. The recently published Prayer Journal of Flannery O’Connor is also interesting in this respect—giving us a glimpse into the complex life of a believer struggling with doubt in modernity. The poetry of Franz Wright shows us someone working through these same sorts of cross-pressures. And despite the fact that hipsters love to hate on it, I actually think U2’s latest album, Songs of Innocence, inhabits exactly this space, pushed and pulled between immanence and transcendence (not surprising, given the echo of Blake). Trevin Wax: Taylor describes our current age as one of “authenticity” or “expressive individualism.” How does the church speak compellingly in this kind of society (knowing we too are formed by individualistic assumptions) while also countering elements of this outlook that are not in line with Scripture? That said, this is the water we’re swimming in, and it won’t do just to denounce it or rail against it. We need to meet people where they are. That might involve looking at how a biblical worldview uniquely values the individual: we are called into a relationship with the God who knows the very number of hairs on our head. In fact, Taylor would say that this biblical emphasis on Christ’s redemption of individuals is partly what got us to today, though obviously this biblical emphasis on individual dignity becomes something else when it morphs into individualism. Perhaps starting from there, we can also help folks to name and identify just how and why an individualistic, expressivist orientation to the world is so exhausting and starts having diminishing returns. Do-it-yourself spirituality is actually a lot of work, and can be incredibly isolating. If we can meet people where they are, and perhaps give them space and freedom and permission to be honest about how this “isn’t working,” we can invite them to see why finding oneself in relation to something bigger than the individual can be experienced as a liberation from self-enslavement. I think this is one of the reasons why I believe Augustine is actually such a contemporary resource for us. Indeed, I think he’s the patron saint of postmoderns. But that’s my next book.